Since 1983, Mon Gym has established local facilities where children learn and grow through unique and exciting activities. 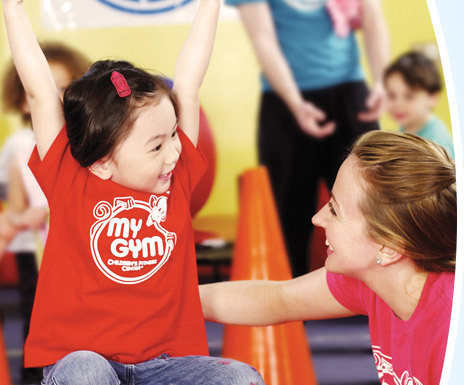 Mon Gym Kids worldwide develop healthy minds and strong bodies under the guidance of trained and loving instructors in a safe, clean and noncompetitive environment. Mon Gym has developed an extraordinary program and facility devised to help children 6 weeks thru 13 years of age develop physically, cognitively and emotionally. 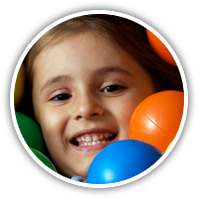 We have hundreds of locations in more than 30 countries offering structured, age-appropriate, weekly classes that incorporate music, dance, relays, games, special rides, gymnastics, sports and more. Children have loads of fun as they gain strength, balance, coordination, agility and flexibility while developing social skills, confidence and self-esteem. Our state-of-the-art facility, extensively trained staff, award-winning class programs, and excellent student/teacher ratio have earned Mon Gym the reputation as the best early learning program of its kind. Every day in Mon Gyms throughout the world, children have loads of fun as they develop physically, cognitively, and emotionally. Our programs focus on growth in all three categories because we view each step of development in these areas as an essential "building block" toward becoming a happy, healthy, well-adjusted human being. The Building Blocks program is designed to acknowledge Mon Gym Kids for their efforts and achievements. It is an interactive skill and development tracking and recognition system that provides specific opportunities for our students, teachers, and parents to enjoy and celebrate the attainment of key milestones together. Childhood obesity has doubled in the last two decades, with 10% of all children between the ages of 2 and 5 in the U.S. already overweight. Mon Gym is dedicated to reversing this dangerous trend. Our facilities, programs and services empower youngsters by helping them acquire the skills, confidence and positive self-image needed to become healthy young adults. We are committed to nurturing children, treating them with understanding and positive reinforcement, maintaining a supportive and noncompetitive atmosphere, and making learning fun and exciting. The thrill of accomplishment from achieving a physical task builds self-esteem and confidence that carry over into all aspects of a child’s life. Interaction with our highly trained staff provides children the opportunity to establish warm relationships with compassionate adults, thus raising their level of comfort as they begin preschool/kindergarten. Our Mon Gym Kids learn more about themselves as they develop independence, self-discipline, social skills and even a sense of humor, all of which lead to an increased feeling of self-worth. A child who feels good about him/herself has a jumpstart on the path to success. Experience our award-winning program for yourself.